With Partnerships being at the core of its Impulse Model and strategy, Impulse NGO Network brings various stakeholders together, to ensure that everyone involved in the fight against human trafficking, can share their challenges and learnings, and ensure that victims are provided with adequate assistance and services as per the law, whoever or wherever they may be. Partnerships with several stakeholders from public and private sector ensure that victims and survivors are provided with adequate assistance and services as per the law. These partnerships are at the core of The Impulse Model, and are what we emphasise on at INGON. The Impulse Model nurtures national and international, cross-sector partnerships. This not only allows, for example, civil society organizations to collaborate with each other, but also enables them to partner with stakeholders in the public sector. Due to the specific mandates given to each stakeholder, their work is coordinated, and duplication of time and resources is avoided. Impulse Model also prescribes bringing all stakeholders together periodically, to meetings and conferences where they can express themselves with regard to the successes and challenges they face. The Partnership element of the Impulse Model also involves training all stakeholders in the anti-human trafficking network, and provides capacity and skill-building on legal frameworks, victim-friendly procedures, and networking with other partner organisations nationally and internationally, which add to and go beyond their specific areas of expertise and mandate. 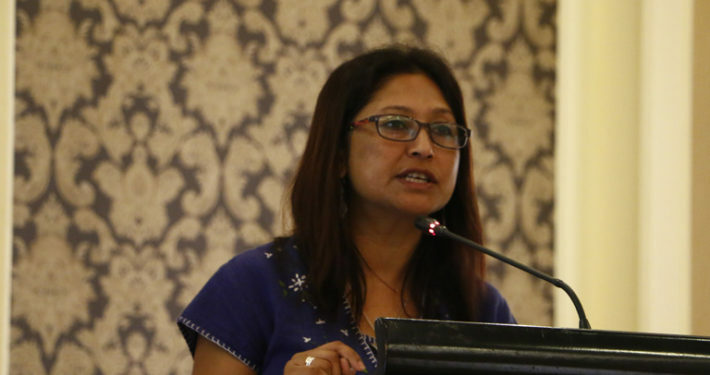 For example, institutional frameworks of cooperation between India and Myanmar were set up, through a consultative process of developing and finalising Special Operating Procedures for providing assistance and protection to the treatment of victims of human trafficking, was held on June 16, 2016. Impulse NGO Network works in Partnership with several organisations and individuals, to put an end to unsafe migration and human trafficking worldwide. If you have an idea or ideas on how to strengthen or expand our Partnerships under the Impulse Model, please get in touch with us and we will be happy to take anything forward that helps in putting an end to human trafficking worldwide.